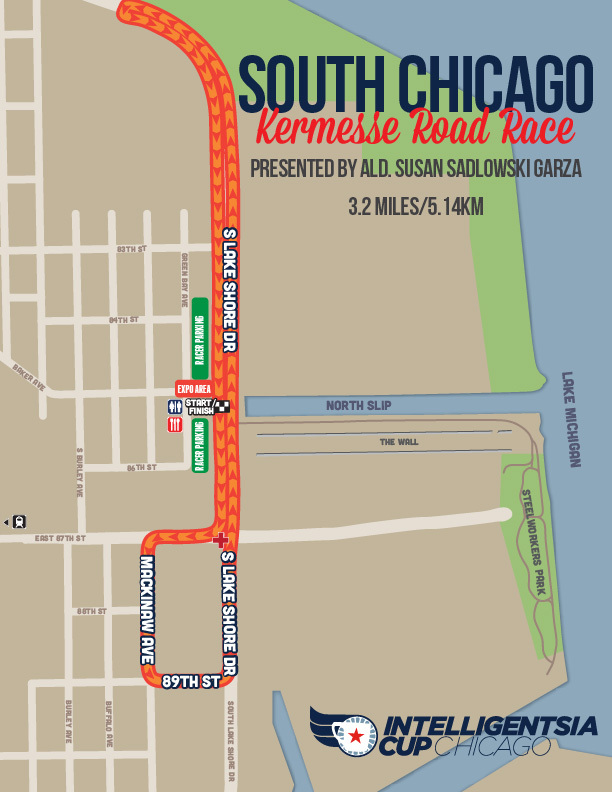 The South Chicago ‘Kermesse’ Road Race, presented by Ald. Susan Sadlowski Garza, features a course that evokes the wide-open, wind-swept roads of Belgium. This event will be run as a “road race” under USA Cycling rules (i.e. no free lap). GPS Directions Please park along Green Bay Ave. near start finish only.